Every month, at least ten films are added to streaming platform IFFR Unleashed – from short to mid-length to feature-length films. This month, there’s 17! Among them is a new, inventive addition to the growing list of films exploring the complex colonial history of the Philippines: The Ashes and Ghosts of Tayug 1931 by Christopher Gozum. 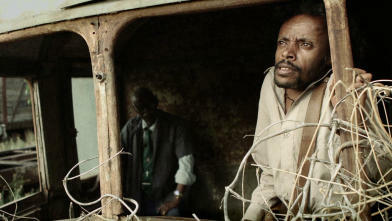 In a multi-layered cinematographic approach, the film explores a farmer uprising of 1931 and its aftermath. Also, three Polish films have been added, among which the prize-winning Papusza by the married filmmakers Joanna Kos-Krauze and Krzysztof Krauze. This moving historical epic in black and white tells the story of the most famous Roma poet who ever lived. She was a resilient individual who tried to escape her fate, but this attempt was punished mercilessly. Layered historic essay presented as polymorphic fiction, about the notorious rebellion in 1931 in Tayug, Philippines. 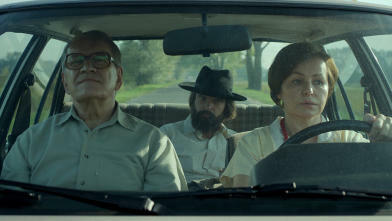 A filmmaker goes looking for the memories of the population about the local hero Pedro Calosa, leader of the rebellion. In the meantime, she tries to imagine the original events. Young Cambodians dream of emigrating to America or time travel to the future. This does require the right colour pyjamas though. In the Paraguayan hinterland, there are many myths about gold treasures from a gruesome 19th-century war. When a young man happens to acquire a metal detector, he cannot control himself. 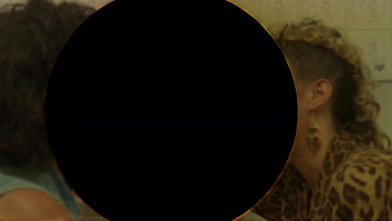 With a painterly and anthropological eye, Collar tells a timeless story about greed and obsession. The mastery of Hong Sang-Soo is recognisable in the sometimes hilarious, sometimes moving way in which he manages to restructure familiar elements in every new film in a fresh way: boozing, awkward flirting and ditto rejections in this updated Groundhog Day. Back to the Future, Spain 1982: at a euphoric party, young people celebrate the election victory of the Socialist Party. 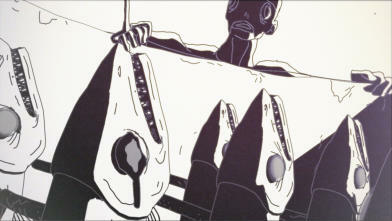 López Carrasco stages the past with stunning precision and shows the future as a surprising result: well, the present. A young man returns to his father’s home after spending some time in jail. The community has certainly not forgiven him his crimes, however. This excellent debut was shot in a wonderfully cool and collected way on classic 35mm and has a surprising leading role for the Swedish pop star Ulrik Munther. As you can guess from the title: a 'home invasion movie'. A young man from Seoul hopes to finish his screenplay in a remote, snow-topped mountain area - but of course he doesn't. Made with the same engaging, amusing tone as Noh's debut, Daytime Drinking (IFFR 2009, also available on IFFR Unleashed). As you can guess from the title: a 'home invasion movie'. A young man from Seoul hopes to finish his screenplay in a remote, snow-topped mountain area - but of course he doesn't. Made with the same engaging, amusing tone as Noh's debut, Daytime Drinking (IFFR 2009). After a period of rehab, the daughter of a politician in Recife has to reintegrate into society and adapt her behaviour to the wishes of her ambitious father. Propelled by a fantastic leading role from Bianca Joy Porte, Aragão's dynamic second film combines a retro-cool mood with contemporary anger. Nominated for The Big Screen Award. An unconventional portrait of an unconventional artist. The dystopian paintings of Polish cult hero Zdzisław Beksiński are constantly in the background in this feature film, which focuses principally on the painter’s dysfunctional family, his loving wife, Zofia, and their troubled, emotionally unstable son, Tomasz. Débora and Facundo are inseparable – she's deaf and he takes care of her. He wants to keep it this way, no matter what. They also set cars on fire for fun. Débora and Facundo are inseparable - she's deaf and he takes care of her. He wants to keep it this way, no matter what. They also set cars on fire for fun. Biopic about the rise and fall of Papusza, the most famous Roma poet ever. Her discovery by Jerzy Ficowski made her a literary sensation, although she was accused of betraying her own community. She died destitute, lonely and almost insane. It’s almost a genre: simple black-and-white films about poor young women who are forced to take the wrong path. Such as this sensitively filmed story about young mother and fisherman’s wife Siti. Her husband has been paralysed and that’s why she has two keep the family on her own. The karaoke bar beckons. Discover a unique collection of international directors and their extraordinary films. A very Indian film in very Indian surroundings, yet not a very Indian film. A guard keeps watch strictly but pointlessly at a deserted mine. When a fleeing couple wants to hide there one night, his world shifts. A harrowing metaphor for unrelenting inequalities. Street children try their luck at the Sunday fair in Maputo. As if Chaplin were still alive and in Mozambique. 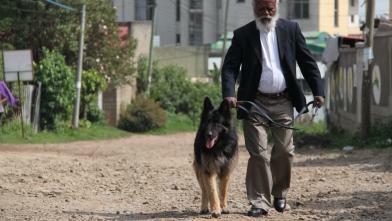 A dog gets lost on the streets of Addis Ababa. The search is a joyous, beneficial and ultimately surprising undertaking. Slightly surreal animation about teen angst. Summertime in a fishing village; life's unpleasant sides reveal themselves to a lonely teen.